Hero. Brother. Mission. Preface: I wrote this post over a year ago, and somehow it got lost in the shuffle. Thought it worthy to go ahead and publish though. 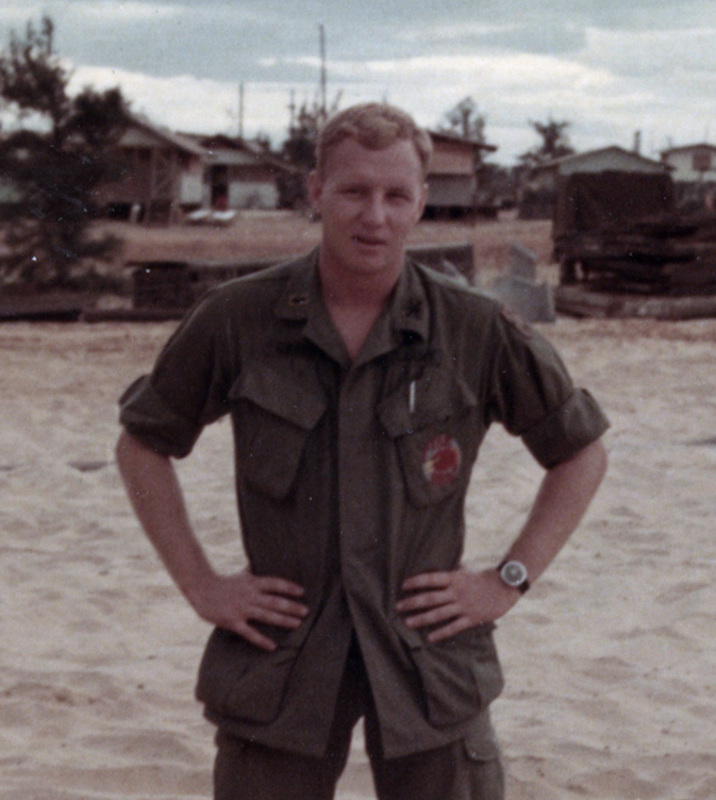 My hero, my brother was declared Missing in Action in Vietnam January 10, 1970. He was an Army Captain, helicopter gunship pilot. He and his crew went down returning from a combat mission over mountainous enemy territory in bad weather. His helicopter has never been found, but the crew’s remains were repatriated to the U.S. in 1989. It took 37 years for identification of Captain Crosby to be made. Final identification approval was in 2006, burial at Arlington National Cemetery (ANC) May 2007. It was a long, frustrating 37 years spent trying to get information about him. Lives certainly changed. I was 8 years younger than Herby, and I adored everything he did. I was a 14-year old girl devastated when we got the news of his loss. His tour-of-duty was just about to end. He was coming home. I couldn’t wait. We had his gifts tucked under the Christmas tree which was left up for his homecoming. His funeral at ANC was another life changing experience for me. I met at least 28 of his Summer ’69 era comrades that day, one being the Pentagon Chaplain who performed the memorial and funeral services. It was a divine appointment to have one of Herby’s comrade friends preside over his burial services. His comrades took me under their wings making me one of their own. I joined their Rattler-Firebird Association and remain close friends to each of them. Their stories are precious gifts. The journey I have taken since his funeral has been an incredible experience that includes people from across this nation who were also touched by his return. People who wore POW/MIA bracelets, the young Army ROTC cadets who receive a scholarship each year in my brother’s name, the Rolling Thunder, Patriot Guard Riders and so many more. Each shared their story of how he touched them. I have boxes of letters, newspaper articles, videotape of the funeral, tons of information that I am currently sorting through on my dining room table. I am organizing it in some manner that makes it easily available for reference as I write my memoir of this experience. There is so much to share, to tell. There are many coincidences (I like to call them divine appointments) that have been ever so prevalent throughout my journey. For example, Dad joined Army January 10, 1941. Herby was MIA January 10, 1970. His Section 60 plot number at ANC is my birth year and month. It’s my mission to make sure that people know he did not die in vain. He will live on long after I’m gone through this website, my memoir which I am just starting to write, and through the Crosby Army ROTC Scholarship for young Army ROTC cadets to fulfill their dreams. His story, my mission and the journey I’m on because of him continues every day. Just recently (2015) I finally received his Bronze Star along with several medals he should have been awarded years ago. His Purple Heart was presented to our mother March 2013 (43 years after his death in Vietnam). All long overdue. My hero, my brother. Never forget those who did not return home from war, and those who did. They are all our heroes. Previous postMy Dad, Herb Crosby. Marylou, what name do we put on the scholarship fund check?